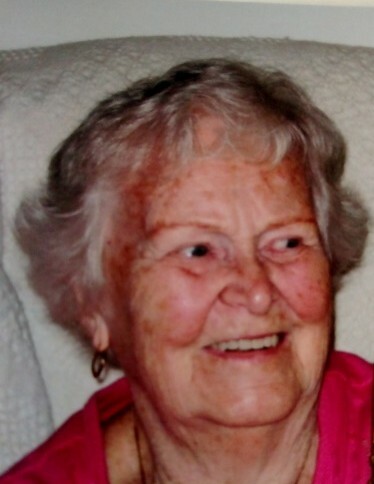 Kovach, Reine Regina, Age 91, of Carnegie on Sunday, March 17, 2019. Born in Toulouse, France, on September 14, 1927, she came to the United States in 1946. Former wife of Joseph S. Kovach, deceased; she was preceded in death by her parents, Roger and Marie-Rose Busnout. Mother of Joseph (Sandra) Kovach, Rose Marie (Wayne) Walton, Elizabeth (Joseph) Dziadura and Paul (Cynthia) Kovach; grandmother of Jimmy and Jay Kovach, Dr. Jessica Walton, Jeffrey Walton, Dr. Lindsay Walton and Stanley Dziadura; great-grandmother of Karly, Luke, Matthew, Brittany, Tatum and Brooklynn Kovach, and Isla Lindsay. Mrs. Kovach was employed as an LPN at Shadyside Hospital for 25 years. Following her retirement, she volunteered at Mayview State Hospital and at Pittsburgh International Airport. She was also an active member of “Women of the Moose” for 33 years until 2011. Visitation 2-4 and 6-8 p.m. Tuesday at HENNEY, BRADWELL & NIRELLA FUNERAL HOME , 524 Washington Ave., Carnegie. Mass of Christian Burial Wednesday, 10 a.m. in St. Elizabeth Ann Seton Church, 330 Third Ave., Carnegie.